A wonderful kill drives the whole crowd crazy. 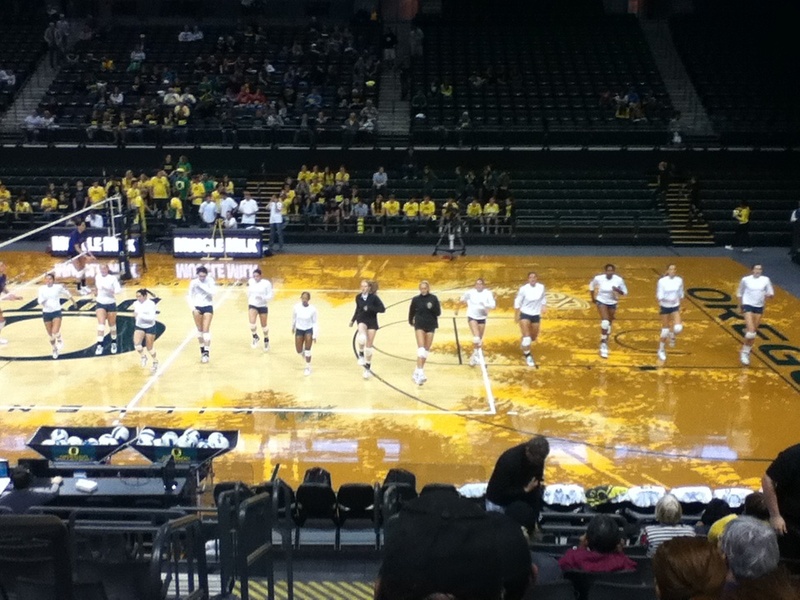 October 13th, 2012 the Volleyball team of Canyonville Christian Academy went to the volleyball match between U of O and University of Washington in Eugene which is two hours north from Canyonville. This game drew more than four thousand people to the matthew knight arena to cheer for the players(students who study at U of O) and like to watch the college level performances such as this.